If you're on the lookout for a vegetarian main dish that's rich in protein and in flavor, you've come to the right place. 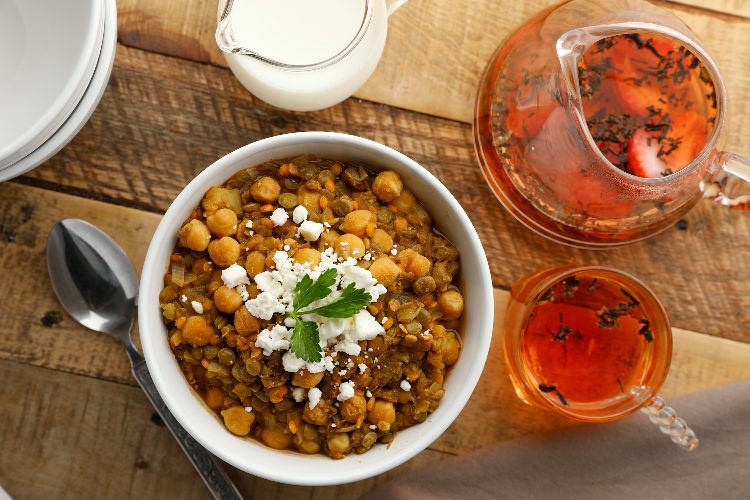 This recipe combines chickpeas and two kinds of lentils in an Indian-inspired soup with just the right hint of spice. And it doesn't even take long to make. The inspiration from this soup comes from Indian dal, a dish of stewed lentils that's generally served a bit thicker than soup. Feel free to add the amount of vegetable broth that achieves the texture you crave. A thicker soup may feel a bit heartier, but a brothier soup is just as delicious. If you're not vegan, you can serve a dollop of yogurt on top. 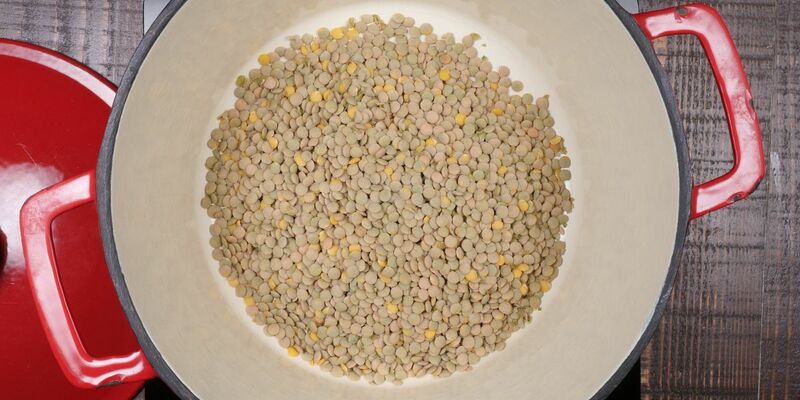 Place the green lentils in a pot. Cover with cold water, bring to a simmer and cook for 15 minutes. Heat the vegetable oil in a large stock pot over medium-high heat. Put in the onion and season with salt. Cook, stirring occasionally, until translucent and slightly browned, about 10 minutes. Add the garlic and spices, stir to combine, and add the tomato paste and the broth. Stir to combine. Bring to a boil, reduce to a simmer and cook until all of the lentils are cooked through, about 20 additional minutes. This stew is full of delicious flavor, and the hearty warmth promises to banish any lingering winter chill, plus it’s incredibly simple to make!